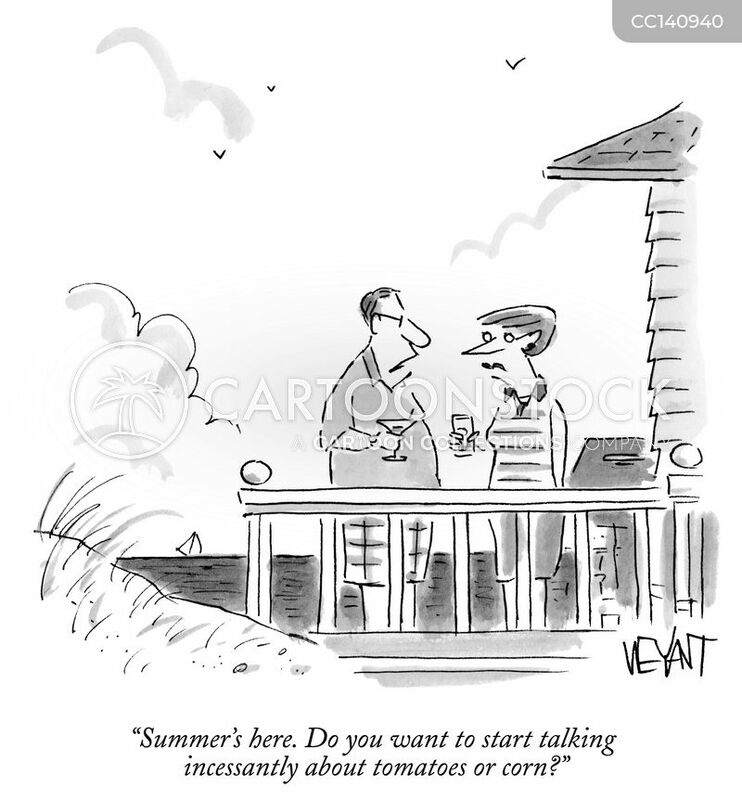 "Summer's here. 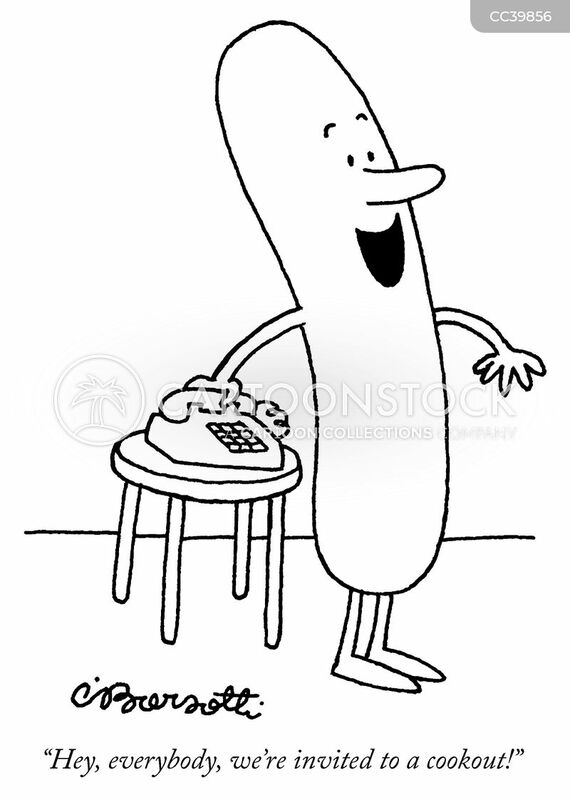 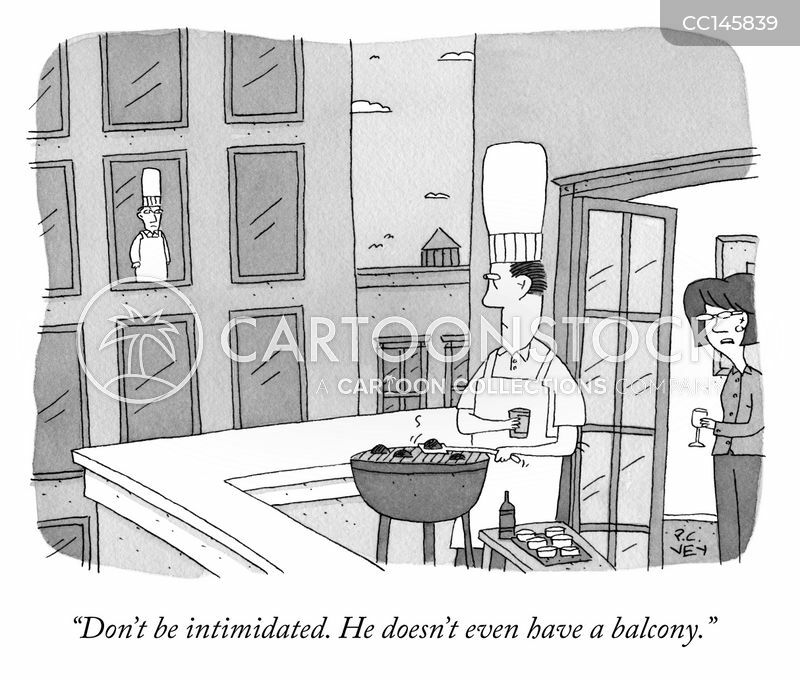 Do you want to start talking incessantly about tomatoes or corn?" 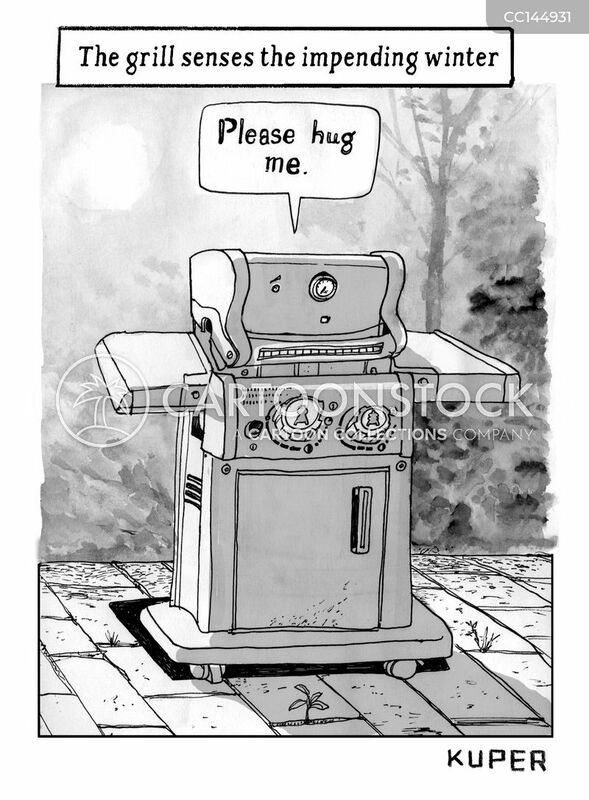 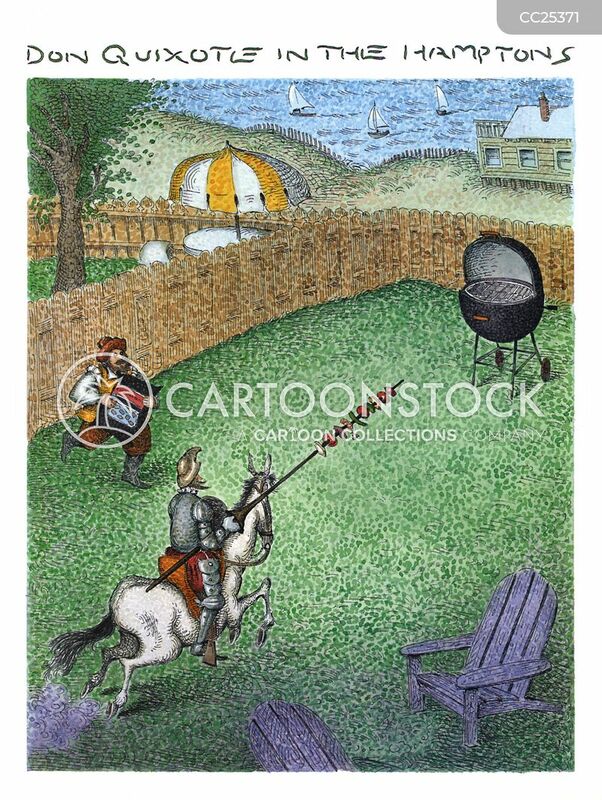 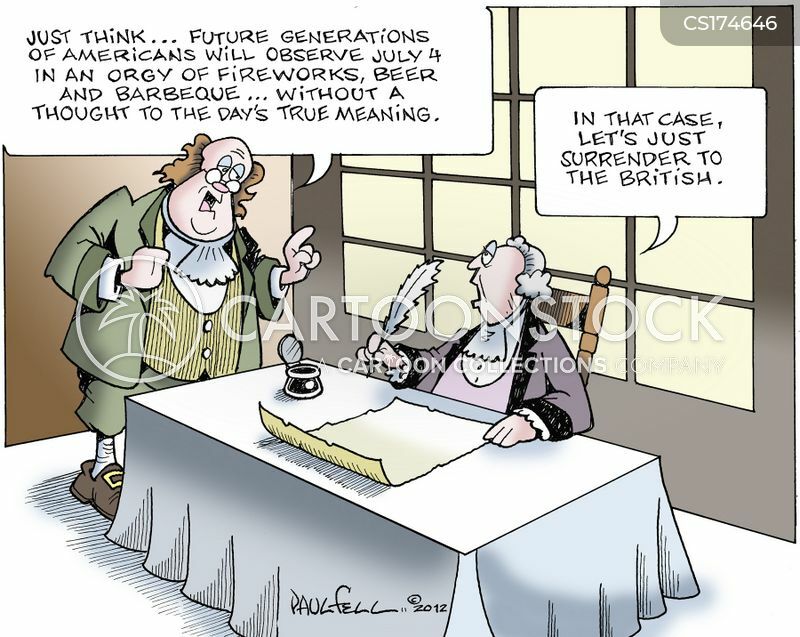 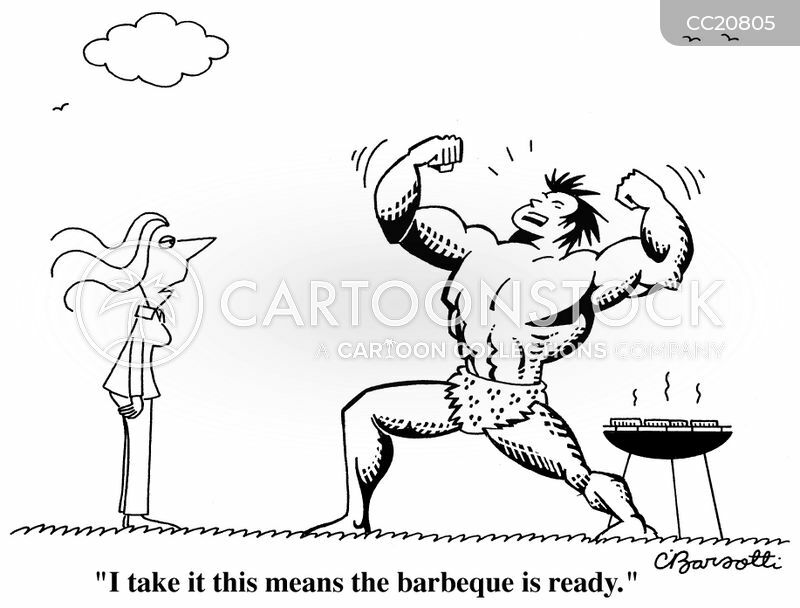 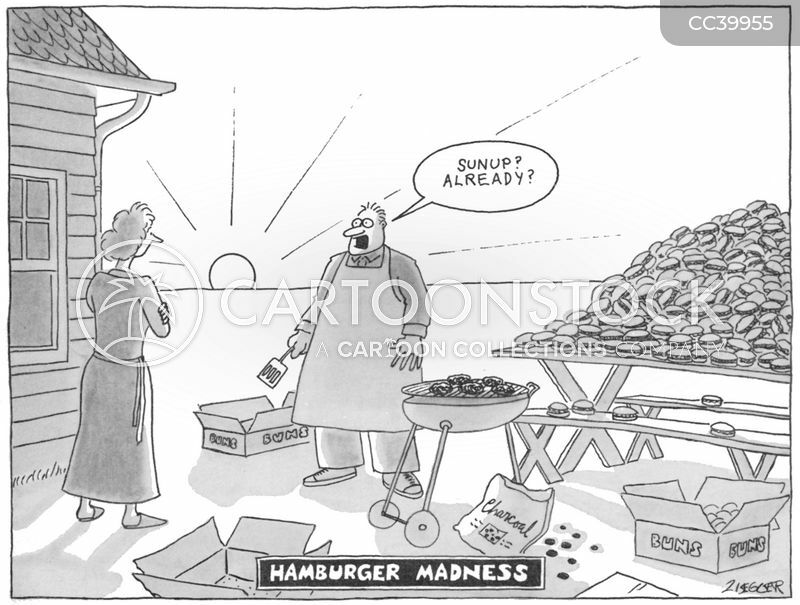 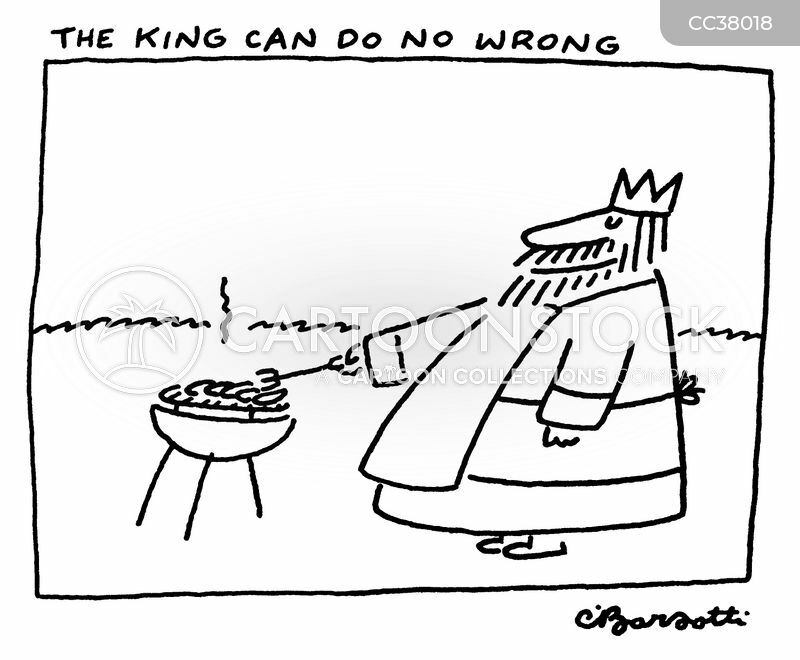 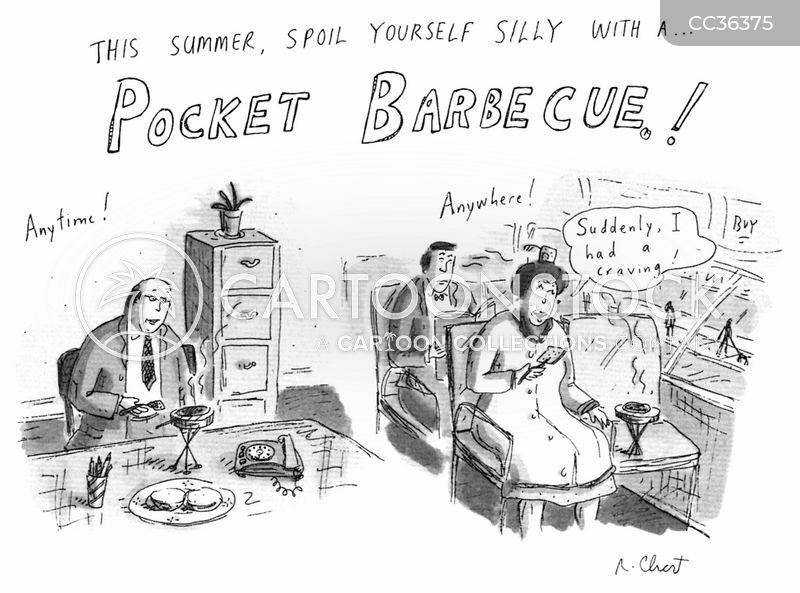 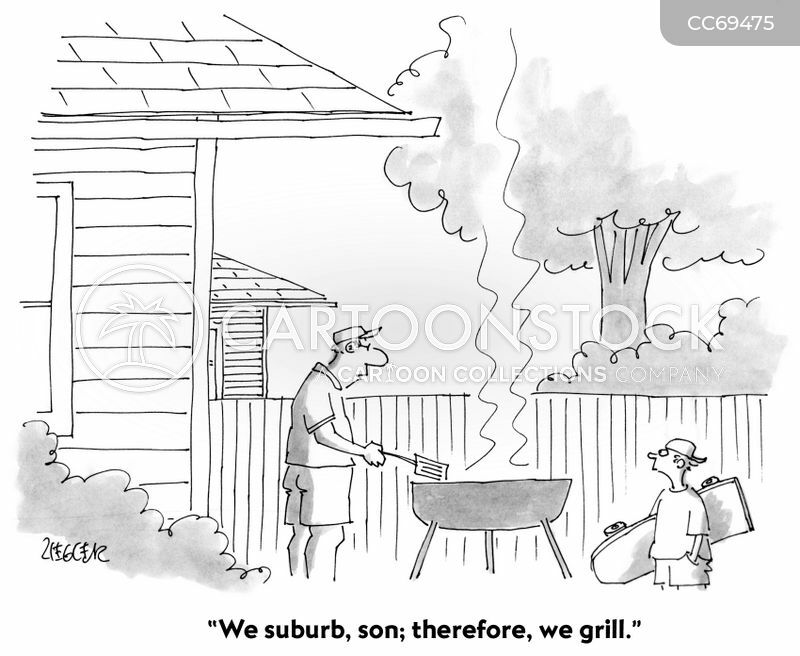 "We suburb, son; therefore, we grill." 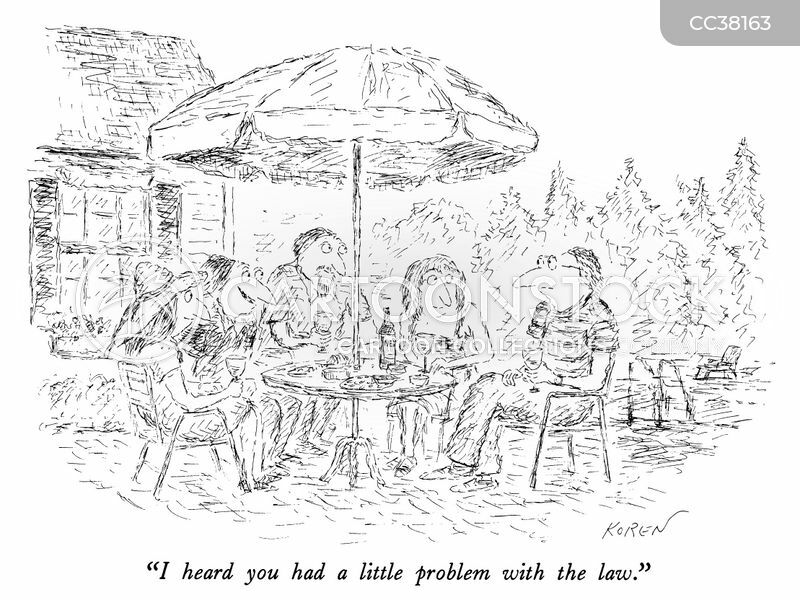 "I heard you had a little problem with the law." 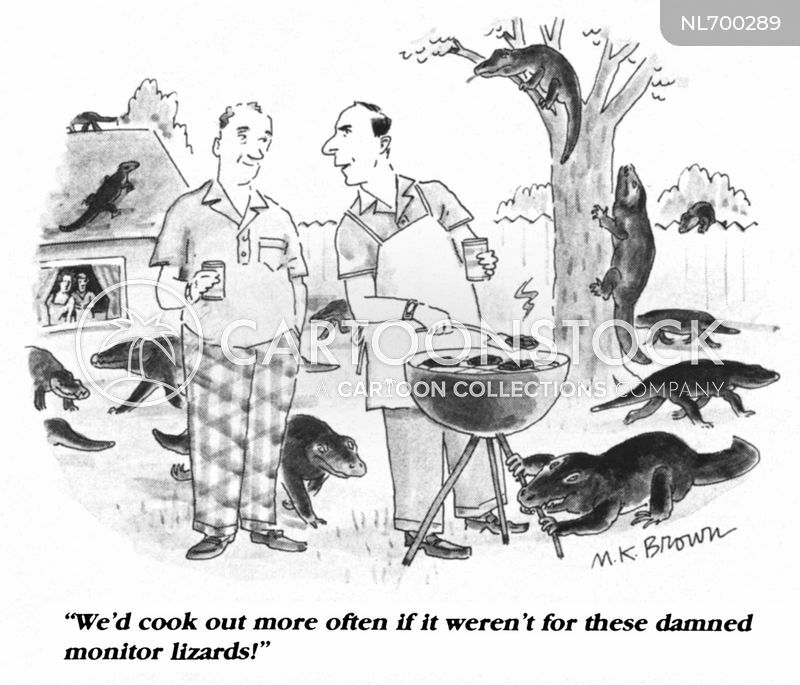 "We'd cook out more often if it weren't for these damned monitor lizards!" 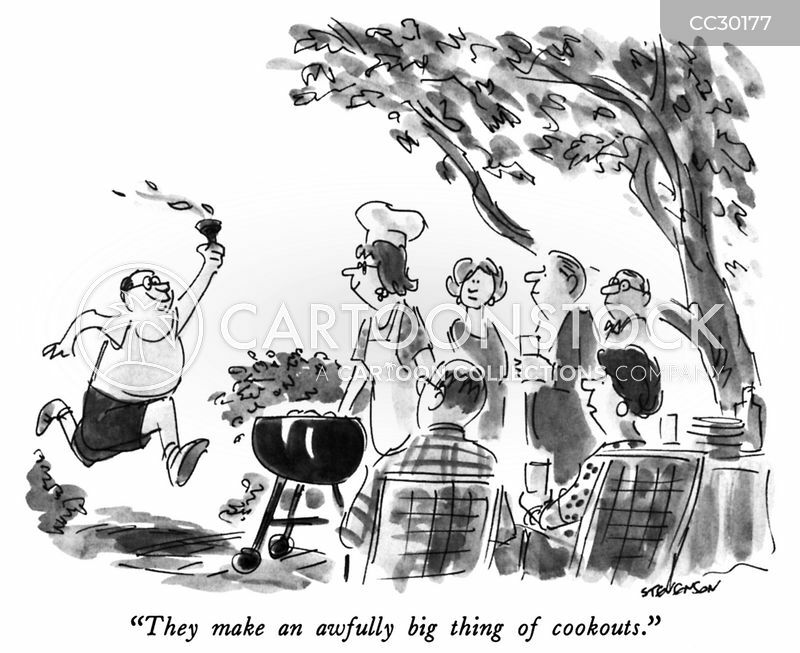 "Hey, everybody, we're invited to a cookout!" 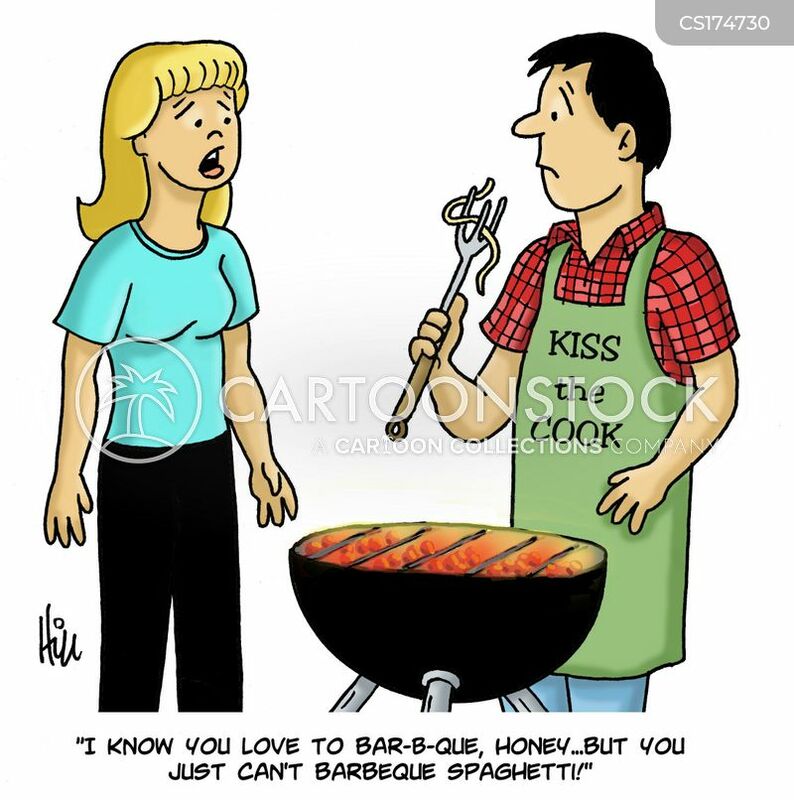 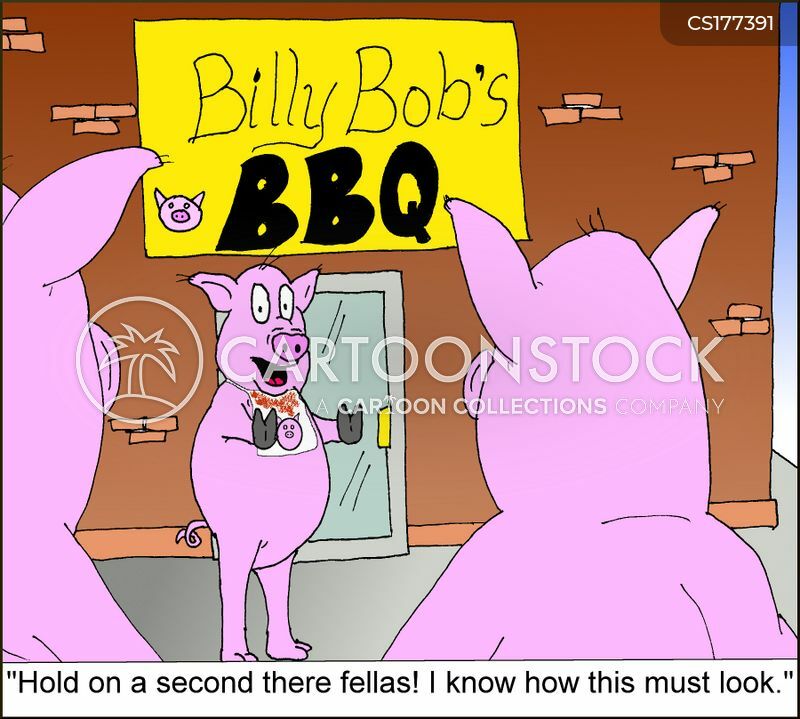 "I know you love to bar-b-que, honey....but you just can't barbeque spaghetti!" 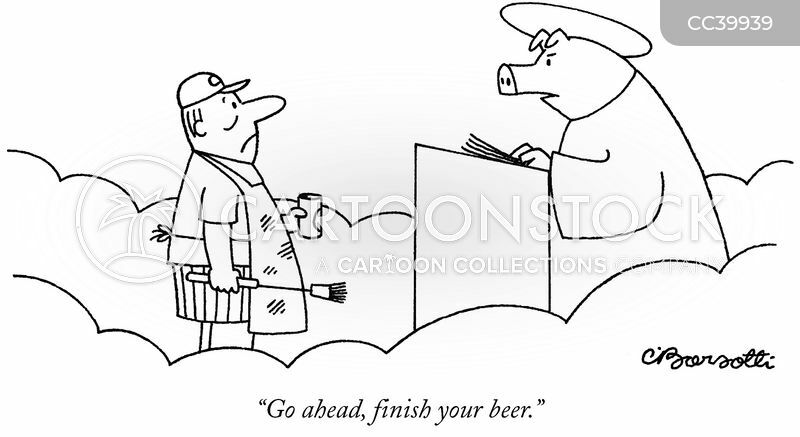 "Go ahead, finish your beer." 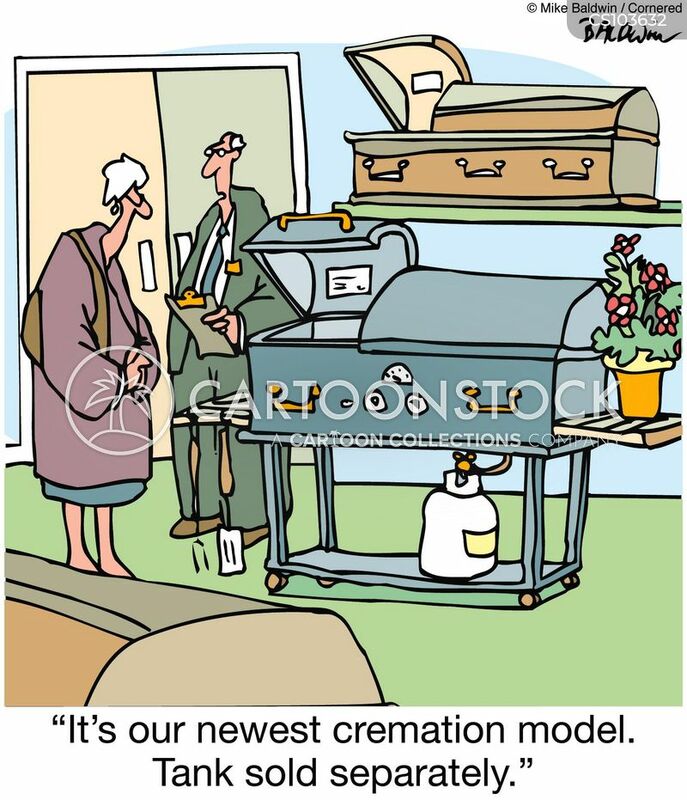 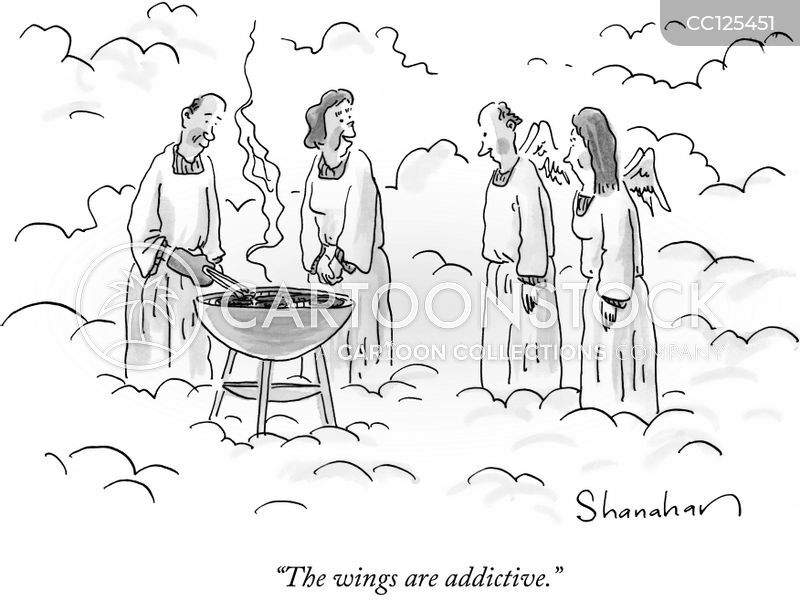 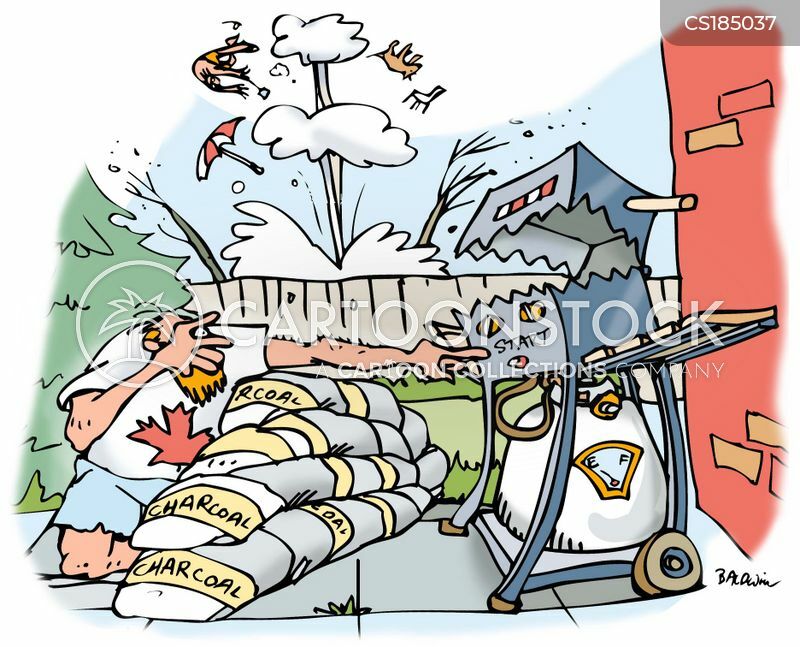 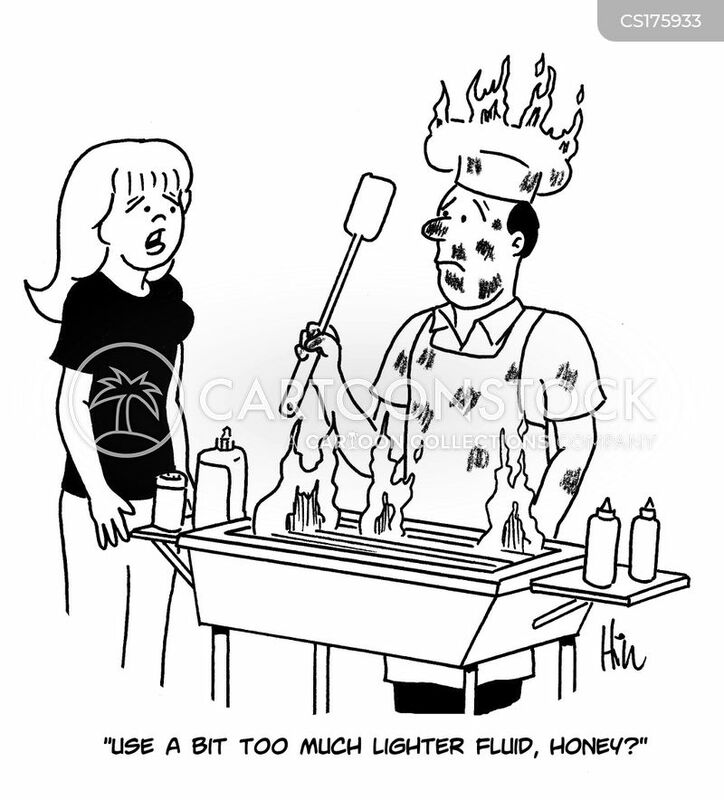 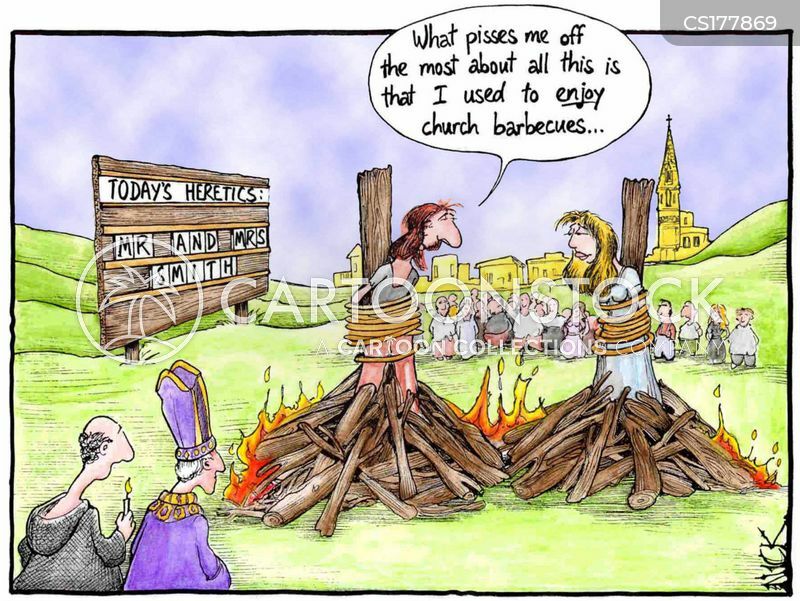 "Use a bit too much lighter fluid, honey?" 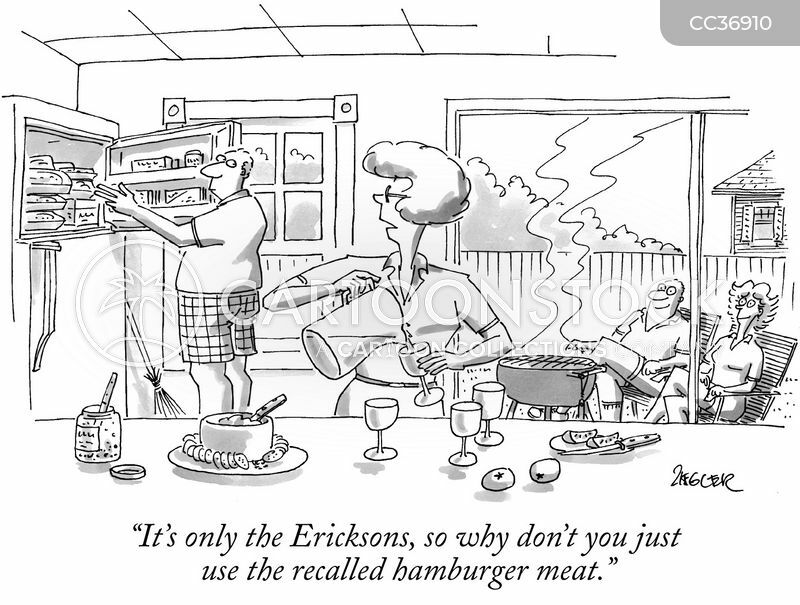 "It's only the Ericksons, so why don't you just use the recalled hamburger meat." 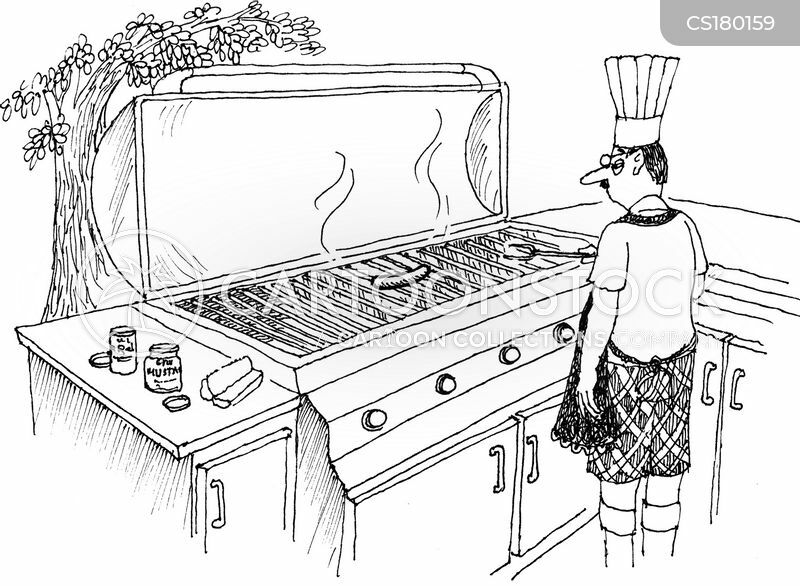 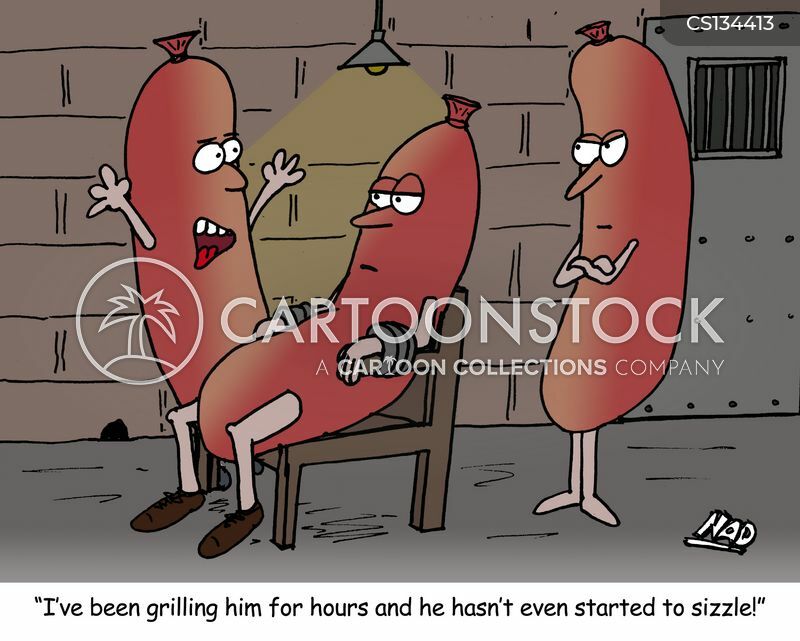 Man cooking a single sausage on a very large barbeque.